Carton Labels are found on closed case goods that typically contain bottles. A carton label is placed on two sides of the carton and clearly identify the supplier name, product description, sku, UPC Barcode, SCC Barcode, Units per Case, Unit Size, Total Case Weight. See example to the below. Flat Labels are on cardboard flats that hold a collection of cases or packaged product. A Flat Label is placed on two sides of the flat and clearly identify the supplier name, product description, sku, UPC Barcode, SCC Barcode, Units per Case, Unit Size, Total Case Weight. Keg Collar labels are placed around the keg fill spout and is made of thick stock paper that will last the delivery and return of the kegs transit. 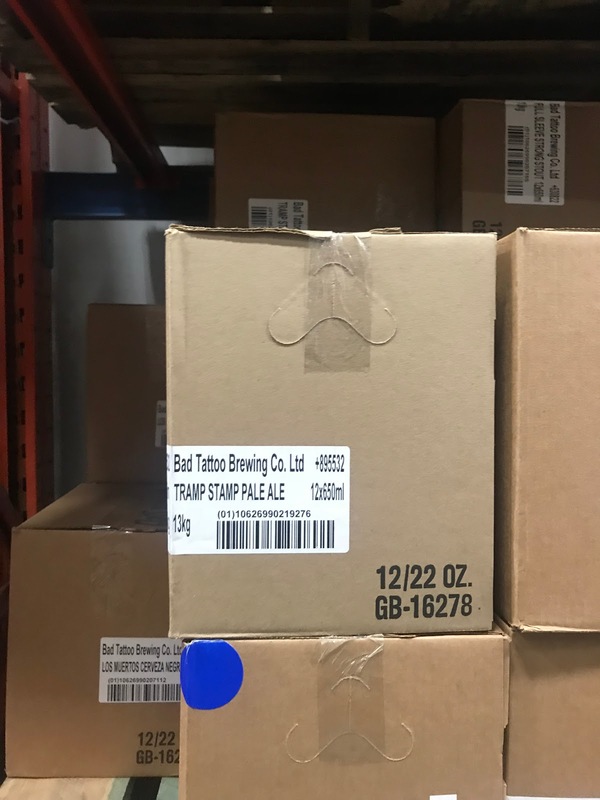 Keg Collar labels is placed on top of the keg and clearly identify the supplier name, product description, UPC Barcode, sku, units per Case, unit Size, total keg size. The Supplier must identify on the keg collar the specified best before date for the beer inside. Must include the Month, Date, Year that the beer must be consumer by. The Supplier can also identify on the keg collar the specified brewed on date for the beer inside. Must include the Month, Date, Year that the beer must be consumer by. 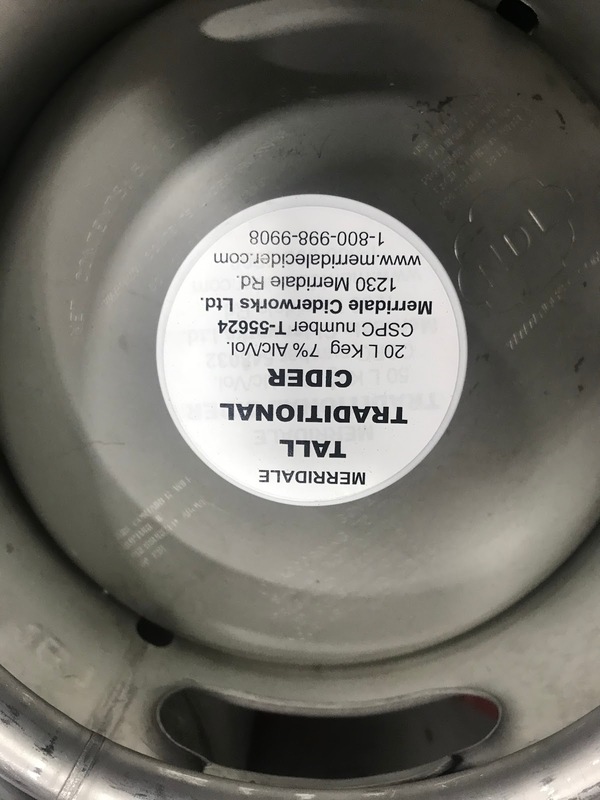 Keg Cap Labels are on top of the Keg Cap on all kegs when a Keg Collar is not used. 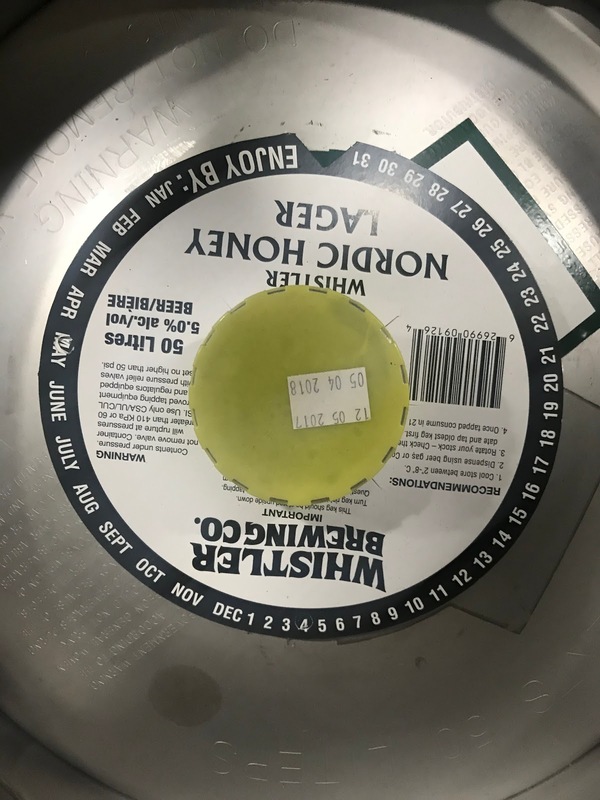 Keg Cap Label is placed on top of the keg cap and clearly identify the supplier name, product description, sku, units per Case, unit Size, total keg size. Supplier – The Brewery, Cidery, Winery, Distillery or Non-Alcoholic Manufacturer name. SKU – SKU number assigned to your product once it is registered with LDB Wholesale Division. Best Before Date – The Day, Month,Year of its expiration. Brewed on Date – The Day, Month,Year of the brew or batch. The number of containers in a selling unit. For example, if the product is sold in single bottles, you would enter the number “1” in this field. If the product is sold in a six-pack, you would enter “6”. This is the number of selling units in the shipping case. For example, if a shipping case contains four 6-packs, you would enter “4” in this field. If the product is sold in single bottles, and there are 12 in a shipping case, you would enter “12”. This is not the number of cases on a pallet. This is the number of cases on a standard pallet. For example, if your full pallet contains 56 cases, you would enter “56” in this field. Barcodes at minimum should contain an SCC Barcode (Master Carton Code) on cases. Shipping Container Code barcode on cases give better visibility and scanning capability to pickers to easily identify cases by their unique code. at [email protected]. The current price as of is 10 sets for $50. 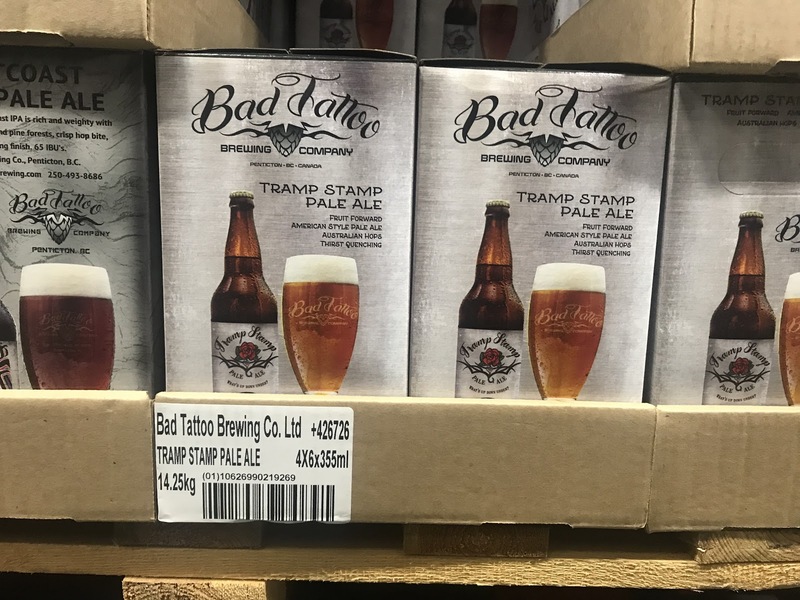 If your packaged product will be distributed by the LDB or sold to BC Liquor Stores, it requires a unique UPC (Universal Product Code – barcode on bottles) and SCC (Shipping Container Code barcode on cases). UPC and SCC codes are non-transferrable. If your product will be exclusively direct-delivered, UPC and SCC codes are not required. Kegs do not require UPC and SCC codes. Suppliers from time to time need to use a shared SKU to identify between season or vintage and require a methodology to identify the change in product in a standardized format. Seasonal formating must follow these rules with the SKU number and the Product Description.